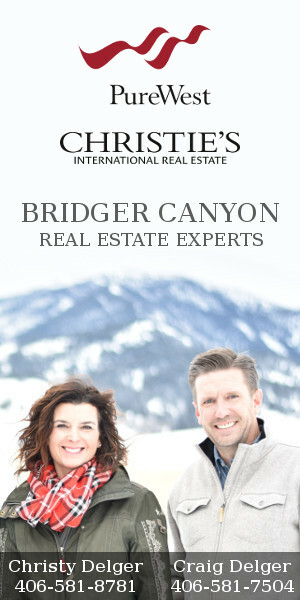 At the mouth of Bridger Canyon is a rock formation named Maiden Rock. Legend has it that a band of Sioux were following Bridger Creek and encountered a band of Nez Perce. A fierce battle ensued. After two days of endless fighting the warriors were spoken to by a figure, the “Spirit Maiden,” standing on what is now known as “Maiden Rock”. The Spirit Maiden said the beautiful Valley of Flowers(now called Gallatin Valley) was created by the Great Spirit for his children. Like a beautiful maiden, the valley is encircled by a white necklace of white-topped mountains… carpeted with flowers and watered by sparkling streams. This is the home of the red man. He comes here to rest. There must be no war, all must be peace, rest and love. The Spirit Maiden also warned of the arrival of a pale-faced race… their hand is raised against the red man. Although the Valley was claimed by the Blackfoot, it is said that after this incident it was recognized by all Indians as neutral ground. 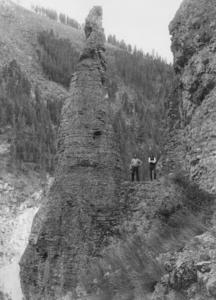 The pinnacle was blasted down by road crews in 1976, but you can still see where it once stood.